As construction crews and architects shaped 400 acres of rolling farmland and orchards in South Amherst, Massachusetts, into libraries, residence halls, and tennis courts, Franklin Patterson was given an even more commanding task: Develop, from scratch, an experimental kind of liberal arts college that was unlike any school that had come before. When Hampshire College’s first students arrived in 1970, they did not do the work of typical freshmen. In fact, they weren’t even considered freshman. Instead of the traditional four year track, the school’s curriculum was divided into three “divisions” that students matured through at their own pace: Exploration and Working Across Disciplines, Concentration and Creating Knowledge. Instead of selecting a major and following a predetermined academic pathway, Hampshire’s students developed an area of concentration and designed their own studies programs, often teaching their peers in student-led seminars. Rather than being measured by grades, students received extensively written “narrative evaluations” from their professors, eliminating academic competition altogether. The school’s founders, believing their students were “capable of far more independence than they exercised in present college programs,” freed them from required courses, periodic exams and rigid course requirements. The school’s various experiments, mostly developed by Patterson, Hampshire’s first president, were directed towards two distinct ends: first, to reduce the cost of college and, second, to provide a broad, liberal arts education that simultaneously developed a students’ capacity to educate themselves and be socially responsible citizens. When Laird Boswell enrolled at Hampshire in 1975 and began exploring languages, political science and literature, he wasn’t thinking of future employment prospects or earnings. Actually, he admits, he wasn’t really thinking at all about what he should and shouldn’t study. Now, as chair of the history department at the University of Wisconsin-Madison, Boswell is witnessing the type of liberal arts education that Hampshire envisioned slip away. Following the 2008 housing market crash, enrollment in humanities courses has plummeted to unprecedented depths. As student debt skyrocketed to more than $1.5 trillion and the financial crisis sparked fears of unemployment and low wages across the nation, nearly every humanities major saw significant declines in enrollment. The crisis in humanities is about more than just missing out on a Shakespeare class or a French language seminar, however. 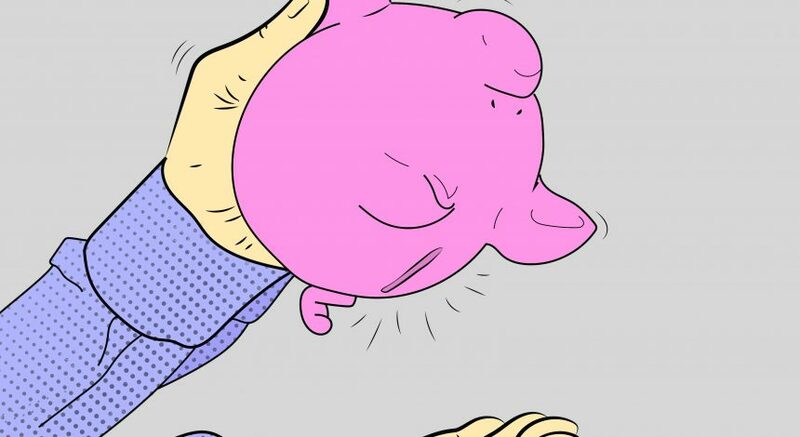 It’s one facet of a broader, systemic crisis in higher education where money shapes what people study, how they study it, and what people value in an education. Although surprising, the recent drop in enrollment in humanities and some of the factors contributing to it are unique to this moment, but not unprecedented. Between 1970 and 1985, humanities enrollments dropped from 17.2 percent of all degrees to around seven percent, assistant professor in international history at the University of British Columbia Heidi Tworek found — the biggest drop ever seen. Northeastern University assistant history professor Ben Schmidt discovered that the factors behind the drop were easy enough to understand: While the same percentage of men — 7 percent — major in humanities today as in the 1950s, women’s choices shifted higher education dramatically. As women became the majority of the undergraduate student body at American colleges in the late 1970s, they increasingly chose pre-professional degrees like business or communications over humanities. Whereas 20 percent of women majored in the humanities in the 1960s, just 10 percent did by the 1980s. Schmidt sees the big picture of humanities like this: Baby Boomers flooded into colleges in the 60s (a “boom”), which caused the humanities to collapse in the 70s (a “bust”). The humanities then entered a long stable period between 1990 and 2008. That period, following the financial crisis, has ended, and the humanities are now entering a new phase. This new phase, marked by exorbitant tuition prices and mounting student debt, means colleges won’t reach even two-thirds as many humanities majors as they did in 2005, Schmidt said. The history of the phrase “crisis in humanities” isn’t even new. Wayne Bivens-Tatum, a librarian at Princeton University, compiled a history of the “crisis” in humanities and found hyperbolic claims about the end of its various subjects dating back to at least the 1920s. One aspect of the “crisis in the humanities” is that “we have tended to lose the sense of delight and newness all good literature gives,” another scholar wrote in 1949. And so on, through the decades, concerned professors and intellectuals have cried out over the fate of the humanities, only to discover that they are more resilient than previously thought. And yet, researchers of this most recent dip believe it truly is a crisis this time around. Schmidt, who prefaced his analysis of the most recent dip in humanities enrollment by admitting that it seems like he’s crying wolf, said the drop has been so intense that it is — in every sense of the word — a crisis. And Tworek, who argued in 2013 that the current downturn was “a gentle slope in comparison to the 1970s, when humanities enrollments fell off a cliff,” has changed her mind, too. “It’s always tricky when you label something a crisis, but certainly I’m less sanguine than I was in 2013 because now what we see is what could have been just a temporary dip has become very much a long term trend,” Tworek said. Since the Great Recession, history, religion, area studies, humanistic studies, foreign languages, and literature have seen the steepest declines in enrollment. Meanwhile, computer science and STEM majors have skyrocketed to the point where class are almost always filled to capacity. No major has been hit as hard as history. Its 34,642 majors in 2008 were reduced to 24,266 in 2017, even as enrollment in higher education grew. The drop in majors was mirrored by a drop in course enrollments, especially in upper-level courses. English majors, meanwhile, have fallen by nearly half since the late 1990s. In the past three years, 651 foreign-language programs have been cut from colleges nationwide. “We’re both aware of [declining enrollment] and concerned about it,” Boswell said. But even at UW, where enrollment in departments like history are at their lowest points since 1984 (the earliest data point the university provides), the department hasn’t felt much of the effects of the drop in enrollment yet, Boswell said. He said some of the classes don’t have as many students in them that they used to, and they are now teaching more first and second-year students and less upper-division classes, but recent trends do not pose an existential threat to the department. The same cannot be said for the humanities departments of less wealthy, less selective colleges that educate the majority of the nation’s college students, however. 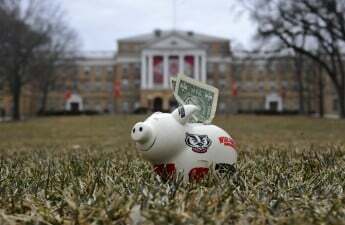 When state governments cut funding from higher education, as Wisconsin’s legislature has done consistently over the past 40 years, colleges are forced to shift their funding scheme to rely more heavily on tuition and donations. While flagship universities like UW enjoy the benefits that come with being an attractive, leading research institution — namely, the ability to fundraise more than $500 million from wealthy donors and raise tuition prices — smaller colleges do not. Instead, they have to make hard choices and cut back, Boswell said, and the humanities are usually on the cutting block. At UW-Stevens Point, for instance, school administrators proposed cutting the history department and other humanities departments entirely so they could refocus their limited resources on career-directed programs. The declining enrollment in humanities and the resultant cutback in these programs likely impacts lower-income students and students of color disproportionately. The Georgetown University’s Center on Education and the Workforce found that white, Latino and black people are funneled into two separate, unequal higher education systems. Martin Van Der Werf, a policy director for the Center, said open access and middle-tier schools that have seen their funding cut by state legislatures usually can’t make up the difference with fundraising and tuition. Even though liberal arts programs are not the most expensive to fund, and their professors are not the most highly paid, they are still seen as “extras” on campuses like UW-Stevens Point, he said. “I do not refer to the obvious and ineluctable fact that some people are smarter than others but, rather, to the fact that some people have the resources to try to understand our society while most do not,” Alterman wrote. Indeed, at elite universities, the humanities are flourishing. At Yale, for instance, history is still the third most popular major. Tworek said the resurgence in humanities at elite universities is problematic. 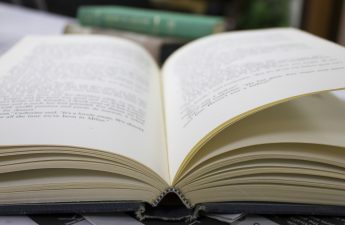 “The really important aspect of what we’re trying to understand here is why is it that humanities have started to become an elite pursuit, which is deeply problematic because the humanities provide those analytical … skills that are deeply important to our contemporary world and are not something that should be restricted by class,” Tworek said. Money begets money, and the types of industries that have the best likelihood of producing well off graduates will often attract the largest donations, which in turn raises the profile of the department and draws more students into the program, Van Der Werf said. It’s no surprise, then, that new construction funds are typically invested into business, engineering, and computer science schools and not journalism schools and the social sciences, Van Der Werf said. At UW-Madison, this point is evident, where the new $11 million Business School library, privately funded by alumni and friends of the Wisconsin School of Business in partnership with the University of Wisconsin Foundation, overlooks Vilas Hall, a building for communications majors that has been left virtually untouched since its opening in 1972. The reasons for students turning away from humanities are numerous, complex and interconnected — and often erroneous. Student Orientation, Advising, and Registration, a program that introduces first-year students to UW-Madison, roughly tracks through surveys what students are interested in majoring in. Fifteen years ago, 5 or 6 percent said history, Boswell said. Now, it’s under 1 percent. Students, and likely parents as well, have misconceptions about the earnings and job prospects attached to certain majors, though. In a recent study, Michelle Van Noy, the associate director of Rutgers University’s Education and Employment Research Center, found that students had inflated expectations of potential future earnings, especially in the fields of business, health and STEM. Business students, for instance, thought they would make $75,000 a year once they graduated. In reality, the median earnings of someone with a business degree is $65,000. Although humanities students also over-estimated what they thought they would earn, they inflated their earnings to a significantly lesser degree than STEM and business majors. Van Noy argues popular media likely plays an important role in forming misconceptions about job prospects and earnings before kids enroll in college. Articles like Money’s “The Highest-Paying Jobs for New College Grads” and broader cultural views towards majors lead students into thinking most humanities majors make less than most STEM majors or are more likely to be unemployed. “My interpretation of that phenomenon is that the students are hearing all of this discussion about those being lucrative fields or fields that are very secure, where you can make a lot of money, and so they’re in general forming these expectations about what earning potentials are in those fields,” Van Noy said. Evidence indicates that humanities majors are probably slightly worse off — one more point of unemployment, $5,000 to $10,000 less per year in income, higher debt-to-income ratio — than finance, computer-science, business and most STEM majors. But STEM is not a block and not all pay well. Zoology and ecology, for instance, have some of the lowest earnings of any major. But, the difference isn’t as drastic as many think, where history majors are “driving taxis and serving french fries,” Boswell said. In fact, humanities majors are actually better off than life-science and social-science majors and go into a multitude of fields, from school teachers to lawyers to business owners. And over time, they close the pay gap with their engineering and sciences peers. The standard argument for an education in humanities is that it prepares you for a variety of jobs by making you a critical thinker, a good writer, and able to digest large amounts of information. These qualities, which can be adapted to fit myriad job types and positions are attractive to employers. For a long time, a liberal arts core was a standard offering at nearly every college across the nation, from the smallest community college to the most towering, elite university. Now, these same departments have to flex their muscles, many for the first time, and show that they can attract students in order to get funding. At the University of British Columbia, Tworek said the history department has warded off irrelevance by being part of the international relations major. While students can still major in history, the international relations major connects history with a variety of other disciplines it normally wouldn’t come into contact with, including political science, geography and anthropology. Although UW-Madison is not cutting off the history department anytime soon, Boswell said the department is adapting to changing times. To entice first and second year students to continue taking their classes, the department has started putting some of its best professors in entry level courses. They also recently merged with the department of history of science, a small but prestigious department on campus, in the hopes that it will attract STEM students with courses like History of Chemistry and History of Zoology. They are also one of the few departments to offer a full-time career advisor. Courtney Rodriguez, who graduated in 2017, discovered the career advisor was essential, especially for exploring the vast array of jobs open to history majors. When Rodriguez switched from a biochemistry major to a history and political science major in her junior year, she had to take a leap of faith. Enjoined to the biochemistry major was a direct career path, Rodriguez said. It was practically guaranteed she’d have a job waiting for her at the other end. But when she switched, the path looked a lot more ambiguous and daunting. Her biochemistry peers, skeptical of her decision, questioned her ability to get a decent job as a history major. “I was 100 percent worried,” Rodriguez said. But the switch felt right. When she was forced to take liberal arts classes as a biochemistry major, she discovered her love of history and political science. She found herself spending more time on her liberal arts classes. She even landed a job as a tour guide for the Wisconsin Historical Museum. But when advisors would say she could do anything with a history major, she felt worried, not inspired. Even if there’s a “decline in historical thinking” at college campuses, the love for history — and humanities more generally — are likely not declining. In fact, the American Historical Association recently found enrollments from 2017 to 2018 had finally stabilized, mostly due to departmental changes. After graduating, Rodriguez was quickly hired as the assistant state coordinator of National History Day in Wisconsin, an international program for middle and high schoolers where students can select any moment or type of history that interests them and create a project for it. In the thousands of students across Wisconsin who take part in the program — and the hundreds who decide to compete in regional, statewide and nationwide history contests — Rodriguez sees young people embrace history and their connection to it without the weight of job prospects and earnings looming. “They can explore [different topics] and what they uncover is the power to understand why their world looks the way it does,” Rodriguez said. Rodriguez remembers one student who, while being interview by a panel of judges at a history contest, said she went to a museum to study their subject and discovered they wrote letters to their family. The student was surprised people wrote in cursive and in full sentences in the past, and it inspired her to start writing things down and communicating with their loved ones in writing. When students share their projects to panels, Rodriguez said parents start to understand that history is not useless and that the skills these students learn by actively guiding their own research and exploring their curiosities is valuable. Hampshire College, surrounded by trees and set against the Holyoke Mountain Range, is in trouble. Though it started as something entirely new, it now faces issues common to meagerly funded, small universities: closures, mergers or acquisitions. The four schools — Amherst College, Smith College, Mount Holyoke College, and the University of Massachusetts — understood American higher education was facing a crisis at the time. As Baby Boomers poured into higher education, they outstripped the resources of universities across the nation, but especially at smaller institutions. The crisis in higher education today, though different in kind, is similar in effect. Rising tuition, student debt and dwindling enrollment could spell doom for smaller, private colleges and mid-tier schools. The elite private institutions and leading state colleges, meanwhile, will weather the storm. 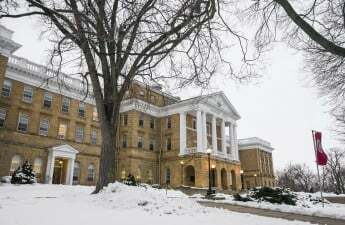 Most, like UW-Stevens Point, will cut costs by skimming off the humanities programs. But, as Hampshire has modelled for the past 50 years, there’s also room for experiments in higher education. Rejecting a “narrow” view of education, where its value comes from what job it lands you or what salary it helps you pocket, the school’s founders write in “The New College Plan” that they believe, unabashedly, in a liberal arts curriculum as an end in itself. “The most important contribution a college can make to its students is to develop in them a capacity to continue their education throughout their lives,” they write.